“A strong mind. A strong body. And a safe, supportive place to grow. 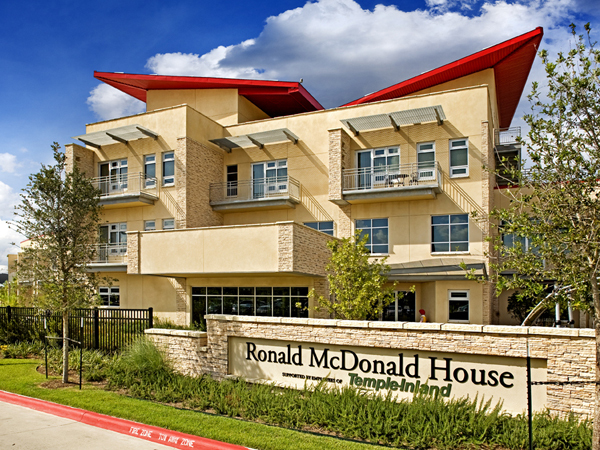 These are things that every child needs – and deserves.” This is the Ronald McDonald’s motto and the goal of our design. 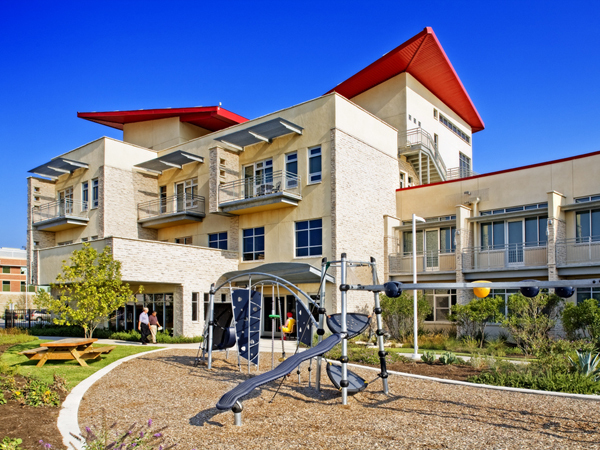 Located next to the Dell Children’s Medical Center in Austin, Texas, this project was designed to provide a “home away from home” for families with critically ill or injured children recovering or undergoing treatment in Austin area hospitals. Due to a limited budget, architecturally creative design, and Platinum LEED objective, the project proved to be challenging; requiring extensive coordination with the design team members. The building has two curved two story residential wings with a four story central “core”. The approximate 19,500 sf guest house was designed with 30 guestrooms, multi-use common areas, administrative offices and extensive and intensive roof top gardens which are located throughout the elevated floor areas. 54 Photovoltaic solar panels provide10.8kW, which power up to 15 rooms and offset over 30,000 pounds of carbon dioxide annually.